Flash fires in commercial kitchen occur all too frequently. They start for a variety of reasons. Whenever a flash fire erupts, it can be a serious interruption to your business. It means a call to the fire department and potentially, damage to your equipment. 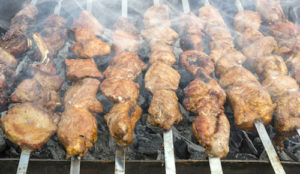 The most common type of commercial kitchen fire is a grease fire. Common water sprinklers simply don’t do a decent job of suppressing a grease fire – but your fire suppression system is an essential tool for containing a grease fire. 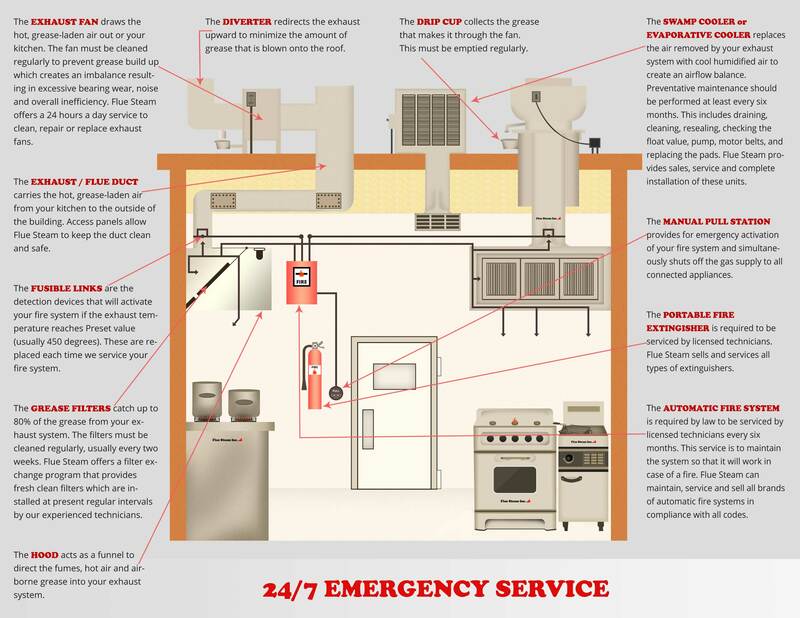 Your fire suppression system connects both the range hood and the gas line and when activated, will cut off the fuel source for the fire. A fire suppression system also has nozzles that have been installed on the range hood’s ventilation system which spray a fire suppressant. These duel methods effectively contain flash fires so your equipment won’t get damaged and your employees will be safe in the event of a fire in your commercial kitchen. Are you sure your fire suppression system works perfectly? Having an effective fire suppression system is absolutely essential to keeping your commercial kitchen intact and to prevent injury to your kitchen staff. So are you sure yours is set up and configured perfectly? Find out today by calling the commercial kitchen safety experts at Flue Steam. We’ll be happy to check your current fire suppression system and if needed, sell you an updated one that you’ll be able to count on every day. We also provide expert fire suppression installation services so you can rest assured that yours is set up properly. When you have an updated fire suppression system that’s properly configured, you won’t have to worry as much about flash fires seriously disrupting your business. Ideally, you’ll never have to use your fire suppressions system, but it’s always a great idea to be prepared. Actually, you’re required by law to be prepared. Commercial kitchens are mandated by code to have fire suppression systems in excellent condition. Flue Steam can help make sure your system complies with all relevant codes here in Southern California, including the UL 300 standard. You can count on our licensed technicians to provide all necessary inspections and maintenance that are required by law every 6 months. Flue Steam has been serving commercial kitchens in Southern California for over 48 years, and we look forward to making your kitchen safer and more efficient. Start your partnership with Flue Steam today by calling 800-700-FLUE.